Make beautiful HD intro movies, openers, end credits and more, using our professional and stunning templates. 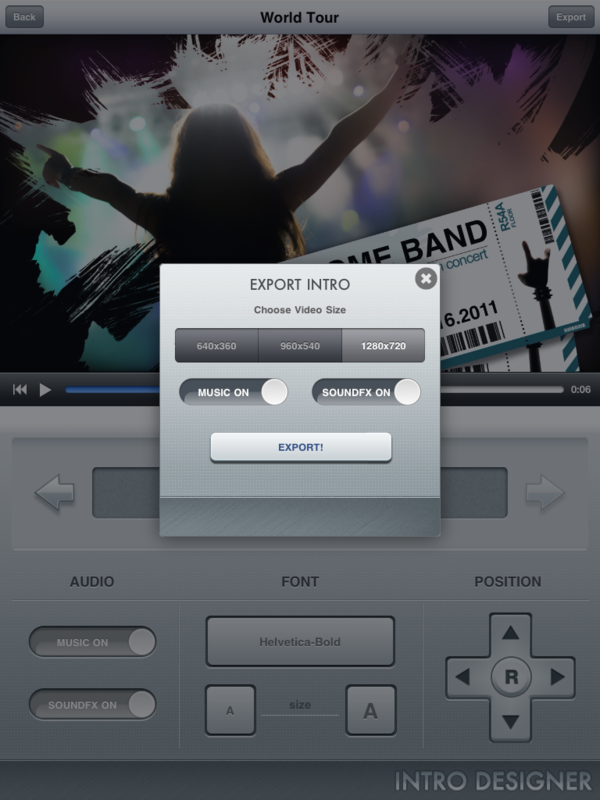 In just three steps: Choose - Customize - Export , you can create special intros and then join with your videos using Apple's iMovie or your favorite video editor. Easy like that. Choose from 54 free professional templates with various designs. Customize texts, fonts, size and position. Preview your composition in Real Time. Export your movie in HD! Requirements: Compatible with iPhone4, iPhone 4S, iPod touch (4th generation) and iPad2. Requires iPhone OS 4.1. or later. WiFi, Edge, or 3G network connection sometimes required. Edit texts and customize fonts, size and position. 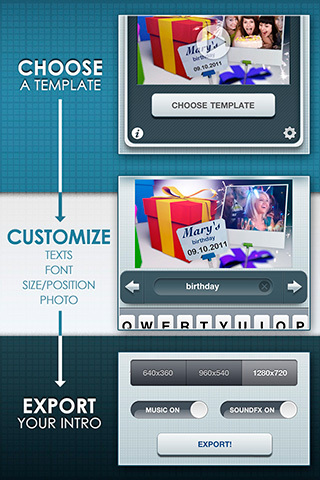 Customize with your photo or take a new one directly within app. Export your Intro with music and soundfx, in HD quality. ...Don't believe it ? Watch the making of here. Create a project, browse through the categories and choose the template. Then you can change texts, size, position, font and even photo (if required by template). 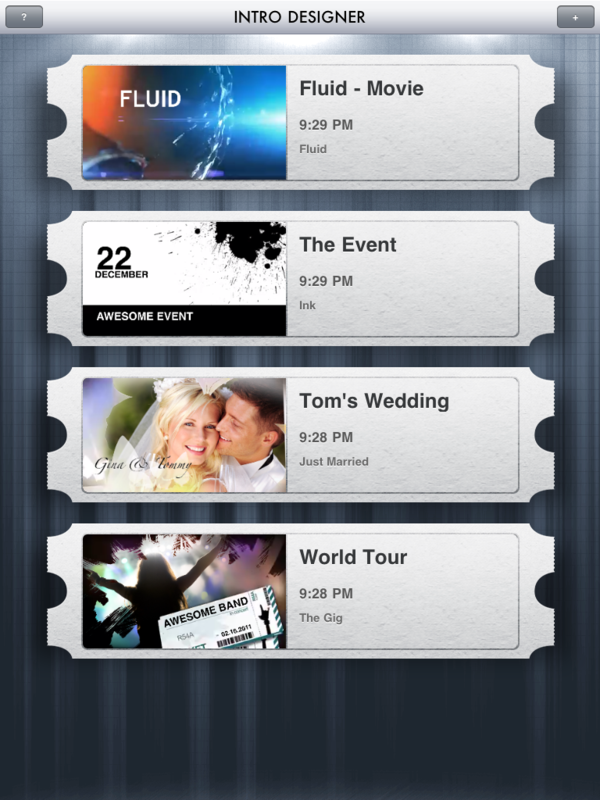 Export movie to camera roll for further use with you favorite video editor. Easy and fun. You can send an e-mail directly within app (Help Button -> Support/Feedback), use our contact form ou send e-mail to support@introdesignerapp.com. I would like more templates. 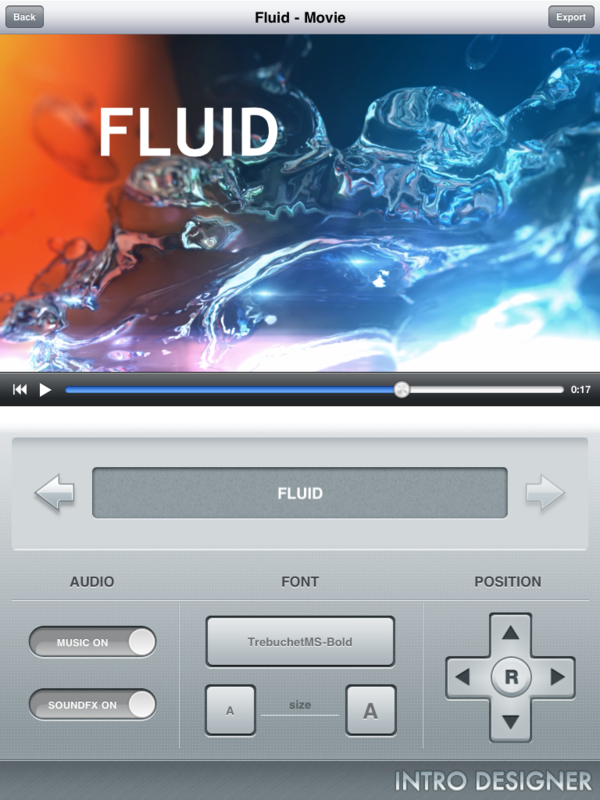 INTRO DESIGNER now has full support to iPad2 with a beautiful, specific new interface. We Make Your Videos Shine! INTRO DESIGNER began to take shape from the need of more polished and professional videos without losing the personal feeling. 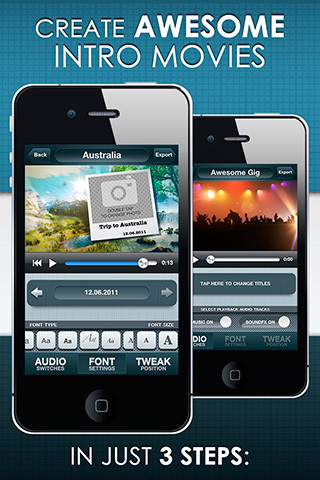 In iPhone and iPad you already have amazing apps that make video editing a breeze. We decided to extend the possibilities, take this step a little further. Okay, right now your videos look good and all, but there's no fancy intro or end credits. Here's where INTRO DESIGNER takes place. You can create a beautiful intro for your son's birthday video, or for your friend's wedding. You can enhance the video you've made on that trip. You can make a nice intro for that amazing show you've gone. The possibilities are endless. We're a small team. A developer/designer, a motion graphics artist and a professional musician. That's it. We would like to evolve the app with your help. As a small team we have the opportunity to hear you and to know your needs, and that's what we will do. We're here to make your videos shine! Contact us right now. Support, feedback, suggestions or anything else you need. We're here to hear you. Copyright © 2011 IntroDesignerApp.com. All Rights Reserved.